Is the iPhone 6 Plus Ideal for Travel? A roadtrip with the iPhone 6 Plus: Is this the ideal phone for traveling? Following on from my first impressions of the iPhone 6 Plus on launch day, here are some thoughts based on using Apple’s mega-phone during a four-day trip away from home this week. With its big screen and purportedly great battery life, is this the device for people who want to use an iPhone as part of a rigorous travel schedule? My journey took me from Manchester in the UK to The Next Web HQ in the Netherlands by air, then on to Brussels in Belgium by rail and finally back to Manchester on another flight. I used the iPhone 6 Plus as my only mobile device, keeping a Nexus 5 on me just as backup if needed (it wasn’t). Although I had originally intended to do all my work throughout the trip on my iPhone, it simply wasn’t efficient enough to do so without a Bluetooth keyboard, and handling a heavily customized WordPress installation isn’t easy in a mobile browser no matter how big the screen you’re using. That aside, I used the 6 Plus heavily every day and found it to be an excellent traveling companion. I stand by my earlier assertion that the iPhone 6 Plus is “not THAT big.” In fact, after a few days’ use, it feels just right to me and other phones seem tiny by comparison. Still, you’re not going to be able to use it single-handedly with ease at all times, and the slippery nature of its aluminum body means I dropped it twice (onto soft carpet) in the first 12 hours of owning it. That was enough to convince me of the value of a case. I’ve never liked cases on iPhones. They’re such beautiful devices that adding a layer of bulk around them in the form of clip-on protection has always felt like a shame. Apple offers two own-brand cases for the 6 Plus; one made of silicone and the other of leather. Having played around with both in an Apple Store, I opted for the $15 cheaper (but still $35) silicone option. Leather may be more ‘flash’ but silicone seems to look like a more natural extension of the phone itself. There’s something about that case and the phone together that, to borrow an old phrase from Apple, ‘just works’. It makes the device feel reassuringly safe in the hand without sacrificing its slim profile. Oh, and it flattens off the extruding camera lens too, in case that has been irritating you about the new iPhones. The iPhone 6 Plus doesn’t magically become a great one-hand device with a case, but it does make it safe to use while trekking across an airport or wandering through city streets. Holding it one-handed, while resting my little finger on the base of the device, I can do most things easily enough, especially when using the two-taps-on-the home-button Reachability mode to bring the top of the screen down to within your thumb’s reach. It’s not quite as uncomfortable as it may appear from this photo! Still, I prefer to use the 6 Plus with two hands – it’s an altogether more efficient way of getting things done. “Does it fit in your pocket?” A lot of people have asked me this, and the answer is yes. 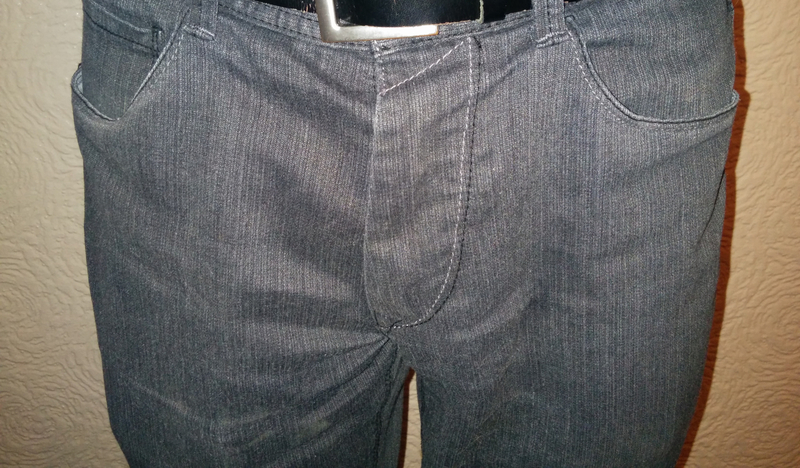 Of course, if you have small pockets or like to keep your phone in the breast pocket of a shirt, you’re out of luck with the 6 Plus, but in the various pairs of jeans I’ve worn over the past week, it’s never poked out or looked like a particularly obvious bulge (oo-er missus, etc). Oh and no, my 6 Plus hasn’t bent out of shape. Funnily enough, the idea of sitting on my brand new phone doesn’t appeal to me. Even if it didn’t bend, it wouldn’t be very comfortable to sit down with it in your back pocket. I’ve seen some highly impressive battery life figures in other people’s reviews of the 6 Plus, and while I haven’t managed to get mine to last anywhere near a full day, it’s certainly a lot better than my iPhone 5s. On the 5s, I’d be lucky to get more than 10 hours out of the battery after just leaving it on my desk and doing an occasional bit of light emailing and streaming some radio for an hour in the morning. With the 6 Plus, I’ve done exactly that today and I still have 46 percent of my battery left, 10 hours after the last time it was on charge. That’s home use though, where I have a solid Wi-Fi connection and a steady cellular signal. On the go, I found the 6 Plus better than other iPhones or my Nexus 5, but I was still watching my battery like a hawk. The fact is that traveling around via trains, planes and automobiles will hit your battery life more heavily than sitting at home. Firstly, you’ll probably be using the device more (to keep your mobile boarding pass at hand, handle email during a taxi ride or watch a video during a flight), and secondly, fast travel between locations means that the phone’s cellular radio regularly has to hunt for new towers. Still, the extra raw battery power in the 6 Plus means that even if a regular traveler can’t expect to use it for literally a day, it’s a better option than other iPhones for travel. It charges pretty quickly, too, going from empty to full in just over two hours. I could comfortably get between eight and nine hours out of the 6 Plus with plenty of tweeting, emailing, video-watching and moving around. 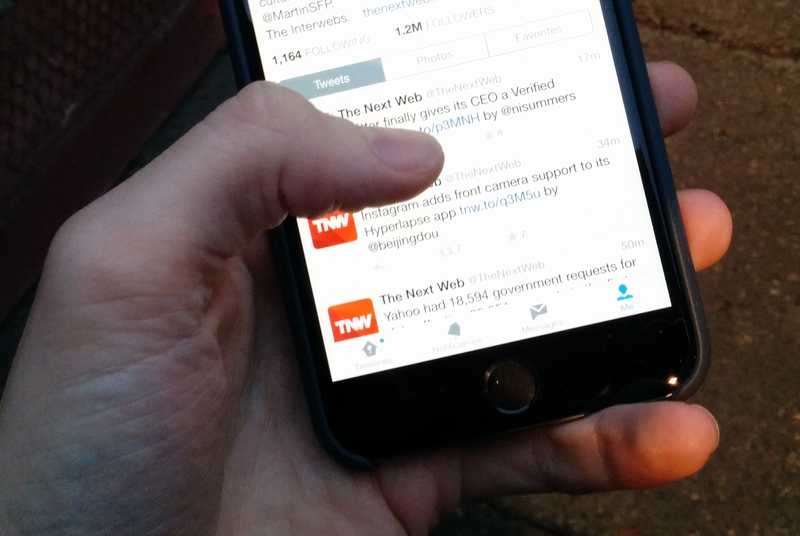 So should you get an iPhone 6 Plus if you travel a lot? For most people, a regular iPhone 6 may well be just right. It’s best not to think of the 6 Plus as the ‘flagship’ and its younger sister as some kind of ‘second best’. The fact you need two hands to make the most of it and have to consider the size of your pockets makes the 6 Plus more of an ‘iPhone Pro’ than anything else – something extra for the people who really need it. This is a device for people who take their smartphone really seriously. If you like a phone that fits around your life, the 6 Plus probably isn’t for you. If, however, you don’t mind one that demands a bit more consideration and attention, then maybe this is a good choice. You won’t be racing through the airport firing off one-handed witty retorts on Twitter as you rush to the final call at your gate, but you will be able to appreciate more of your favorite apps and websites when you get a chance to sit down at the gate, when it turns out your plane hasn’t even arrived yet. The 6 Plus won’t replace your laptop, but it might replace your iPad if you only use it for media consumption and light tasks like emailing and social networking. It doesn’t run iPad-specific apps, so this is very much a ‘big iPhone,’ but developers are already starting to get to grips with the extra screen space. I’m sure we’ll see creative uses of that additional real estate over time. As the fall/winter tech conference season kicks in, I’ll be ramping up my travel schedule and I’m glad that I have the iPhone 6 Plus to help see me through it.